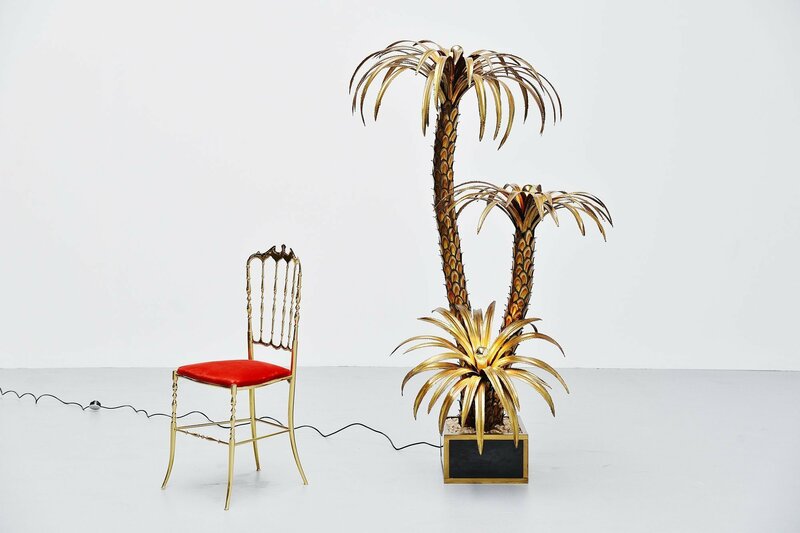 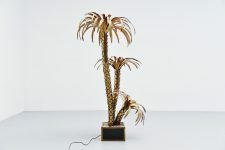 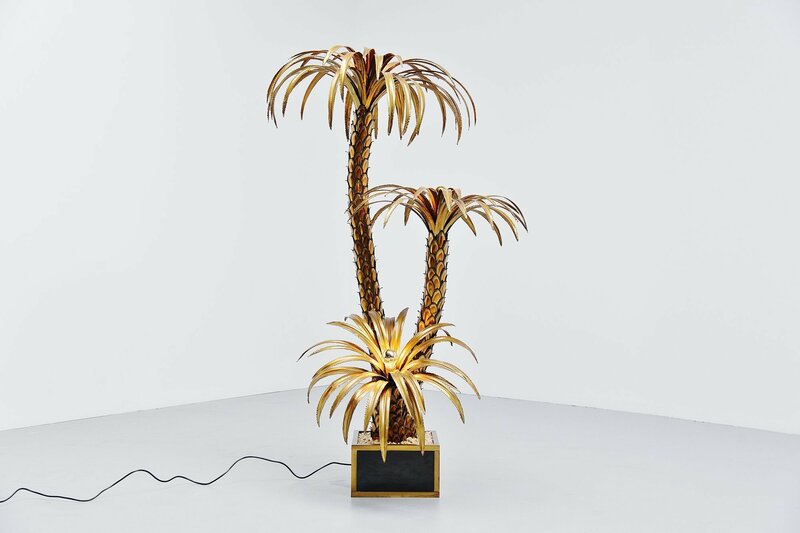 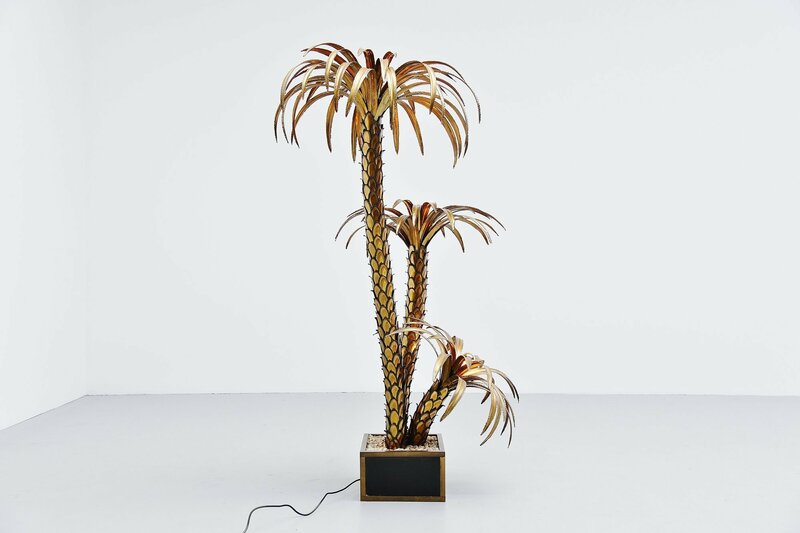 Stunning large floor lamp palm tree shaped, made and designed by Maison Jansen, France 1970. 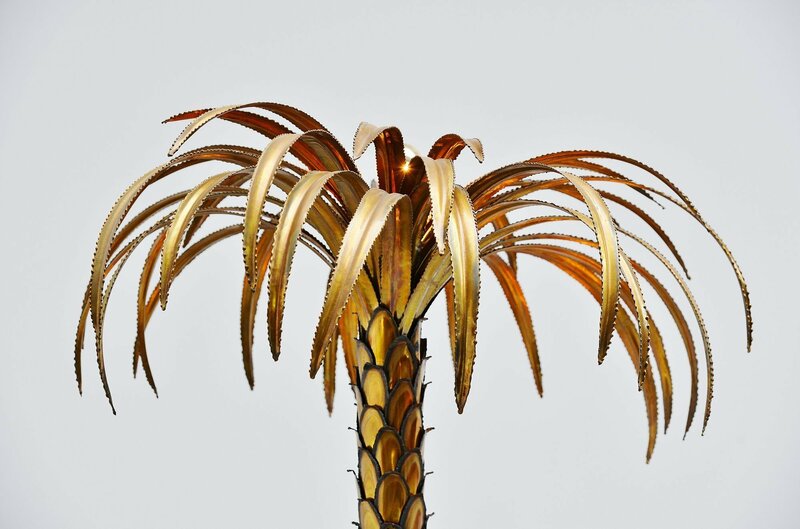 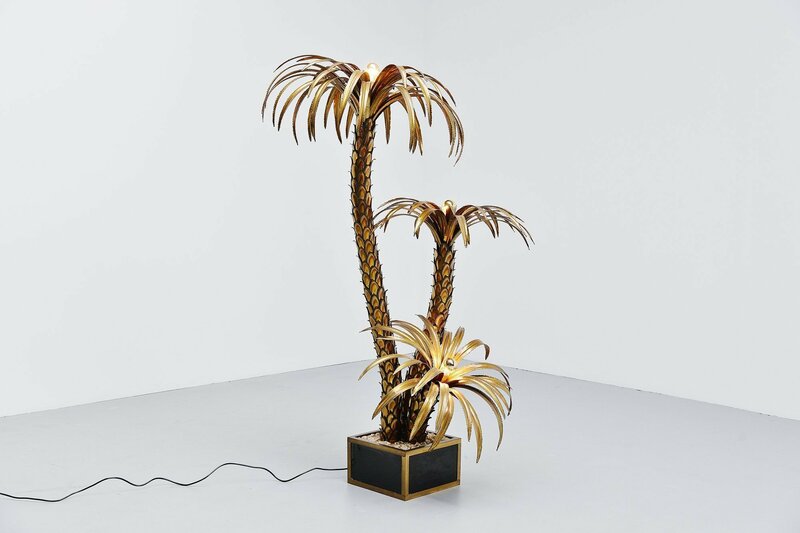 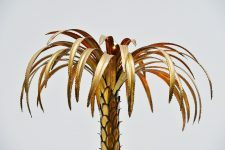 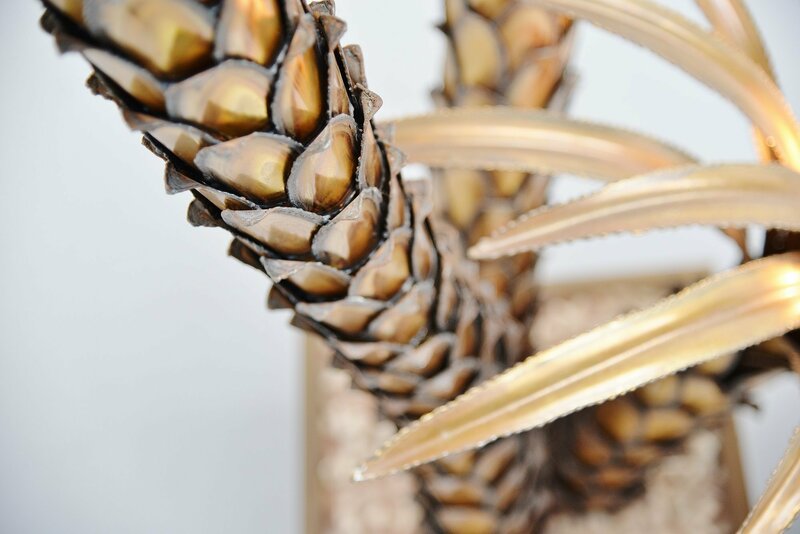 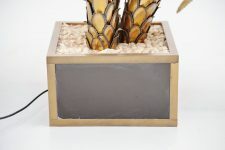 This spectacular large palm tree floor lamp has a dark brown patinated brass base with brass edges and real stones glued inside. The leafs are made of brass and have a very nice patina from age and usage. Lamp gives fantastic light when lit and works perfectly. 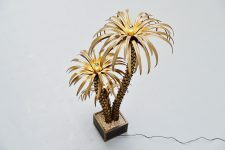 Very nice and impressive large floor lamp, highly decorative piece in any modern home or interior. 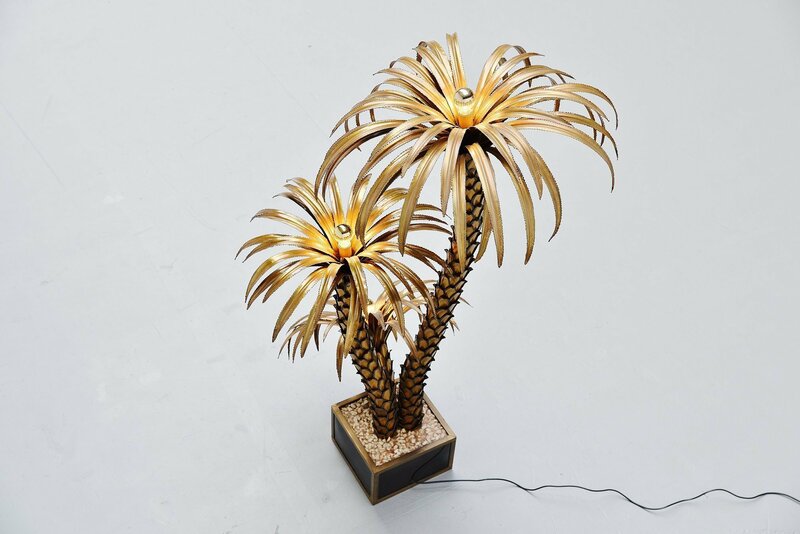 Comes with the original brass half mirrored E27 bulbs.